The community of Lansing was incorporated as an official city of Kansas in 1959, but early development of the community can be traced to the 1860's when the United States experienced significant westward expansion. The development of Lansing was influenced primarily by establishment in 1827 of Fort Leavenworth and subsequent settlement of the City of Leavenworth to the north. The army post was originally constructed to protect travelers on the Santa Fe and Oregon Trails, and continued to play a key role in the United States westward expansion with the opening of the Kansas and Nebraska Territories. 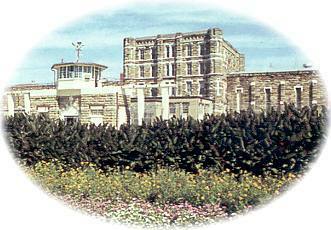 In 1861, the state of Kansas selected the area for building a state penitentiary. A tract of land was used five miles south of Leavenworth, near the community of Delaware, at the intersection of Old Military Road and Seven Mile Creek. Old Military Road connected Fort Leavenworth to Westport in Kansas City, Missouri. Convict labor was used to construct the prison facility which was occupied in 1868. The walls were constructed of stone seven feet thick and twenty feet high, and are still in place today. Convict labor was also utilized to establish a coal mining operation which supplied coal to all correctional facilities in the state. The necessity to transport coal spurred the development of the railroad system and the area soon became a crossroad for the transportation industry. A bustling community near the prison developed and was referred locally as the "Town of Progress". Population from the communities of Leavenworth, Kickapoo, and Delaware City, as well as from Missouri were attracted to the area for employment and economic opportunities. Many businesses soon developed to support the railroad, prison facilities, and coal mining industry. One of the businesses was a mercantile store that provided apothecary and postal services. Dr. Lansing established a post office in one corner of his store. The town that had been growing up around the prison was called, "Town of Progress", but the name was too long to put on a postmark, so someone suggested naming the town for "Dr. Lansing". The store was established by James William Lansing from New York. Lansing whose original name was William Lansing Taylor had been captured and paroled by the South during the Civil War. He changed his name so that he could join the Kansas Volunteer Calvary as a hospital steward. At the end of the war, Lansing settled near the prison. and was employed as the prison's hospital steward and later established the mercantile store. Because of his association with the hospital he became know as "Doc Lansing" to area residents. In 1878, Lansing acquired ninety acres of land east of the community known as Progress, and platted it into town lots. This area was officially referred to as the town of Lansing. Eventually, the entire community known as Progress was commonly referred to as Lansing. Official incorporation of the city occurred in the late 1950's. At that time, the original names of the streets were changed to the names we see here today. Since the early beginning of Lansing, the business as well as the residential areas have grown considerably. It is today, as those early pioneers knew it would be, "The City With A Future". Lansing's population is currently approximately 9,250. For the past forty years, Lansing's population has increased around 2,000 residents every ten years. A little bit of the past has been saved by a group of Lansing History enthusiasts, who dreamed of preserving the Old Atchison, Topeka and Santa Fe Train Depot, now sitting on a tree-shaded grounds in central Lansing.